We all love crazy shades, but sometimes a girl just needs that one pair that looks killer with everything. 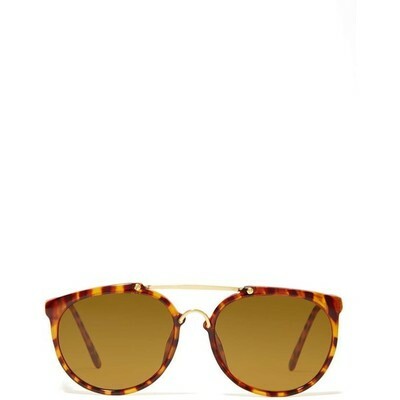 The Centari Shades have mustard brown lenses, tortoise shell rims, and gold metallic detailing. Hard carrying case included. Pair them with anything from shredded boyfriend jeans to floral maxi dresses. By Replay. Length: 6"/15.25cm. Height: 2"/5cm. UV Protection. Imported.